Still shocked over her mother’s mysterious death, California socialite Logan Keller is handed a one-way ticket to her long lost roots in Wyoming where love, deceit and danger await. Though she could forget everything staring into Luke Callahan’s eyes, Logan is quickly thrust into a fight for survival. Taking fate into her own hands, she begins unraveling the dangerous deceptions that abound at every turn. Her father is keeping secrets and Luke is keeping more. But Logan is keeping the biggest secret of them all. The Violet Hour is a page-turning captivating twist of young romance and the paranormal. Alright, so there were a lot of things going on with this book that it honestly left me with a mix of emotions. Overall I did enjoy the book, but I found that there were moments where it kind of fell, or I didn't really understand what Logan was going through that made sense. I will say that when it comes to the genre of this book, I tend to stay away, simply because there was one series in particular that kind of made it hard to fall in love with. From the beginning, you kind of just get jumped into this story, without really getting a chance to understand what Logan is going into. I realize that it explains it in the synopsis, but I feel as if it could have had a bit more of an explanation, and more written about her journey getting to her father. Another thing was towards the end, I felt the same thing happen where one moment she was doing one thing, and the next she was somewhere else completely! #whatdidimiss? I will admit that after about a quarter of the way through, it started to really pick up, and things began to take place, and get VERY interesting! More towards the ending, here comes another huge twist that actually caught me so off guard, I almost knocked off my coffee from the table! If you follow me on any other social media platforms, you will know that I love romance novels. I love how someone is able to fall in love and possibly with someone they will end up with forever. I am not 100% a fan of Instant love, only because it doesn't fully seem realistic in my eyes. However, with that being said, I do enjoy instant love, because I find that sometimes it makes to story move on faster. When the connection between Logan and Luke began, I kind of laughed at how fast it was. But then I began to understand the relationship a lot more, and I realized things that I may have missed, if it weren't for the relationship blossoming! "In only four days, Luke stole my heart. On the fifth, he crushed it." HELLO LUKE by the way! I mean come on, the guy is keeping his own secrets, and yes, you obviously find them out (and I found that I could foresee some of it faster, but still by surprise) but holy-moly this man is something else! Can I just say, I would love to have someone surprise me with little notes that I find beside my bed, or in the bathroom, or on a patio saying little cute and adorable things... I just found him to be very protective, and passionate about Logan. He has this sort of comfort about him that seeps through the pages, although I did have my share of moments where I kind of screamed (in my head) at him for not telling Logan his secret sooner! Throughout the novel, you do really see a development of Logan and who she is becoming, and I really enjoyed that. 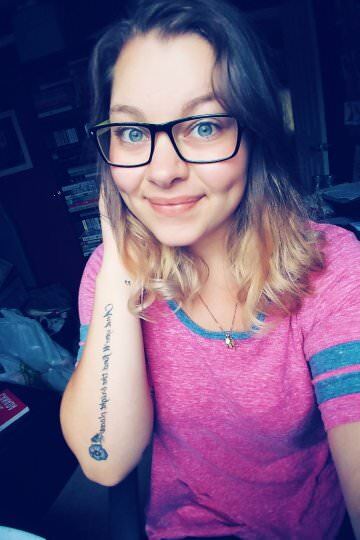 There were moments where you could see her age come through, and I kind of rolled my eyes at certain moments where a typical teenager would react to things, and then almost right after, there would be a scene where you wouldn't believe she was only sixteen! It was if there were two adults talking. I do wish that there were more moments between the two that made their romance "blossom" some more than it did. "I have never felt towards someone the way I feel about you. It's hard to put into words but I trust you more than I probably should at this point. I don't even understand why." "I've waited my entire life to meet someone like you and now I'll do whatever I can to not lose you." "Love is blind, and I was more than in love with him." Overall, I did enjoy the book. I feel that I didn't love it, only on the fact that it seemed to be slow at parts, and I found it to jump from one section to another, in some of the most crucial moments. I actually quite enjoyed finding out about the secrets, and the action that was packed inside! There were definitely moments where I felt like there could have been more in general. More love, more action, more wonderment with the characters, that could have made it so much better! I would say to give this book a read, because I am positive there are MANY of you who would love to read it! 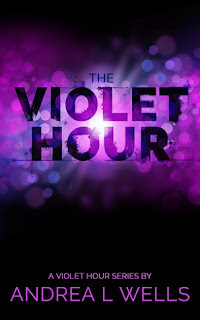 And that's all for my review of The Violet Hour! I do hope you enjoyed it, and I seriously cannot wait to check out what happens with Logan and Luke!